Once your social media strategy is out of our oven, the garnishing involves presenting it on platters to different target groups as per their taste buds (read interests). As a Social Media Optimization Company in India, We ensure that each interaction is meaningful and relevant, thus impacting the business in a positive way and also contributing towards building the brand. Among the hundreds of different marketing strategies, social media advertising can help you to achieve the results from start. Social media advertising, or social media targeting, are paid ads targeting users on social media networks. Social media platforms can target users based on interactions within a specific platform by utilizing user information to serve highly relevant advertisements. Facebook is the king in social media advertising and used for business-to-consumer advertisements. With facebook advertising you can reach large audience with a wide variety of customers. Facebook will help you to design your ads to achieve one of three broad types of campaign objectives: awareness, consideration, or conversion. Instagram is second most popular social media platform used for visually-appealing content and the reach is huge for a awesome image or video on the platform. Instagram is a great tool to bring in potential customers that might not have been found on a other platforms when advertising a business to consumers. With YouTube being the second most-visited site on web, it will be foolishness to ignore it while creating the ads to reach out to consumers with online advertisements. This platform deals strictly with video content. Videos are more engaging and informative can boost sales and brand awareness for your business. Twitter is a social media platform which is used to connect with user with lightning-fast updates in real-time. Depending on the business and location, it is an excellent platform to use for targeting more of the younger and more technological crowd. Start working with our expert team to enhance the results driven from your Social Media Advertising Campaigns. We start by creating a social media plan and strategy to match your business requirements. 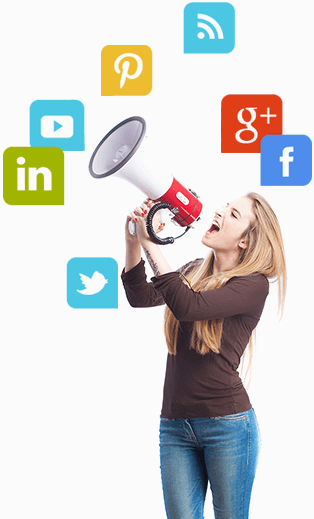 Based on your business goals, we can create successful social media advertising strategies. With the right planning and customized approach, you can be sure that you will see successful results from each campaign. After the strategy building, its time to execute it properly, we will start with target audience or customers as this is the foundation for any social media advertising. To create a segment for ideal customers, we need to target the right personas to get the desired results. It can be based on the Geographics, Demographics and Behaviour or Psychographics of the users. Creation of the ad needs to be done for highest engagement, it should have the clear message and visually-appealing to catch the user’s attention. We ensure the content to be unique and follow the above requirement as the base for crafting the ad copy based on what your business goals are. We will create a user freindly landing page for target audience to click on the ad and visit us. This will be a specific page on your website for the collection of more information of users who had clicked on your ads and thus your team can follow up with them. Connect with us to learn how social media advertising can help increase sales for your business.